Had to show this. Mark Visser(Australian – of course) rides an LED bedazzled surfboard with LEDs on his back. Mind you, this is Maui’s famous “Jaws” wave that routinely gets 50+ feet in height. Now imagine surfing this “tow-in” wave at night with only moonlight and helicopter spots on you. By the way, this is what Jaws looks like during the day and at night. 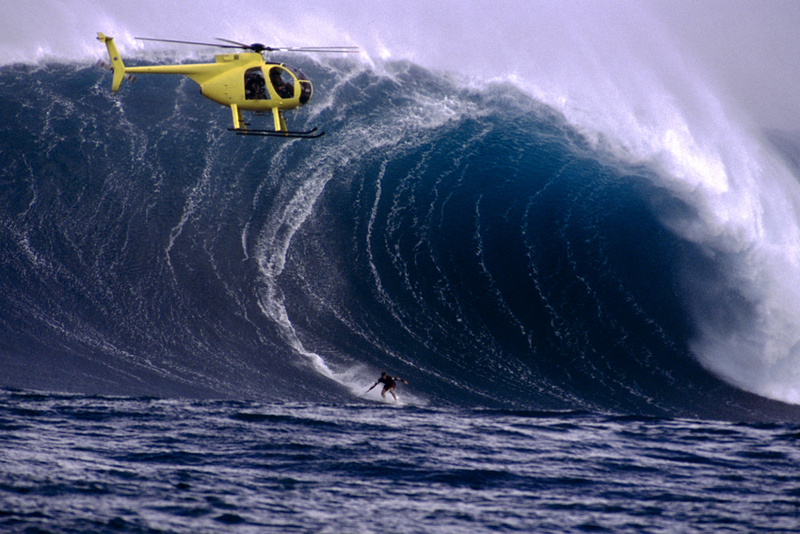 Think of a wave so big that a helicopter could fit inside the barrel. I guess this is a company that makes LED surfboards. 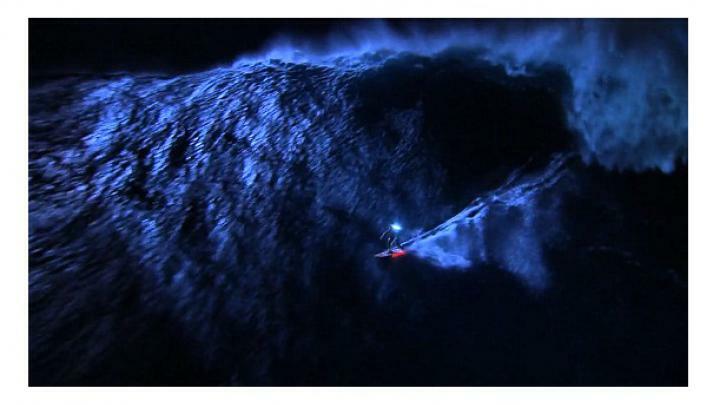 Night surfing in general gives me the willies.